Knowledge is the essence of our learning, a revelation that holds exclusively true for those who visit Mount St. Helens. No other classroom or university can display the primordial power of the 1980 eruption, its ensuing destruction or the enormity of regeneration two decades later. The incredible events leading to the eruption and those following are recounted at world-class interpretive centers, while stories told by the people who lived, worked and played around Mount St Helens propel your imagination beyond its boundaries. The opportunity to discover the evolution of our existance awaits you. It's a learing experience like no other on earth. 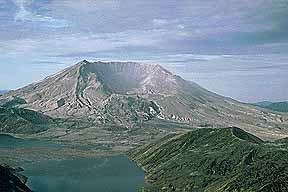 Mount St Helens interpretive centers are located at Silver Lake, Hoffstadt Bluffs, Forest Learning Center, Coldwater Ridge and Johnston Ridge.